Sensex opened the week at 31677, made a high of 31677, low of 31142and closed the week at 31272. 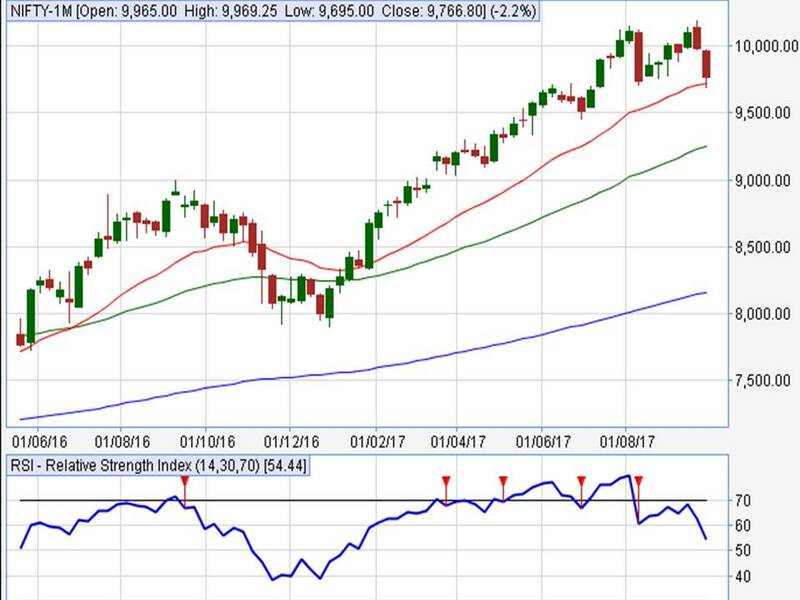 Thus the Sensex closed the week with loss of642 points.At the same time the Nifty opened the week at 9981, made a high of 10005 low of 9728and closed the week at 9795. Thus the Nifty closed the week with loss of226points.The Sensex and Nifty gained for a second straight session on Friday as the domestic sentiment improved after the government stuck to its budgeted market borrowing for the year, easing concerns New Delhi would widen its fiscal deficit target.Indian markets have been under pressure this month on foreign fund outflows amid worries that the government may widen its fiscal deficit. 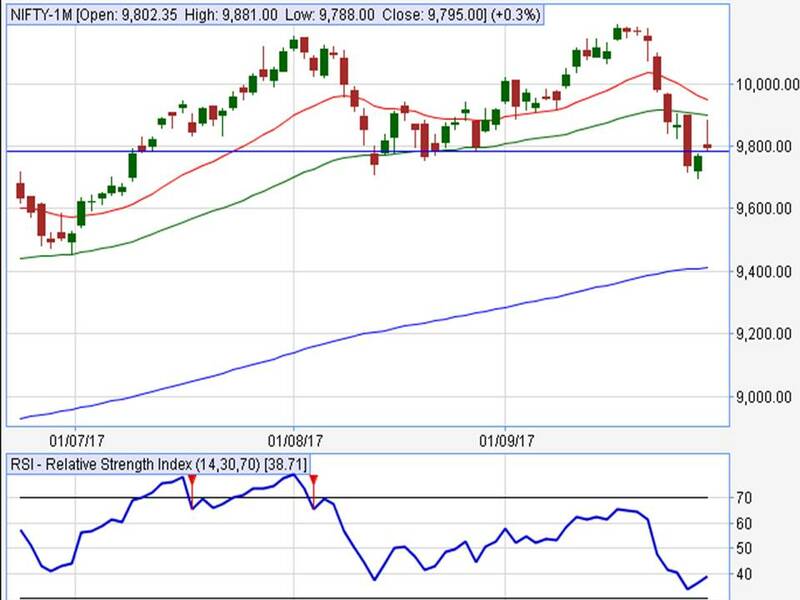 As the Correction continues, markets are witnessing Selling at every higher levels and this will continue till the market conquers the Resistance zone of Nifty 9900.nextkey resistances are at 9920and 9950, 9980.On the other hand, A strong break below 9780 will increase the downside pressure and on the Closing bases below 9750 would initiate a big downfall. Such a break can drag the contract lower to 9,700 and 9670. 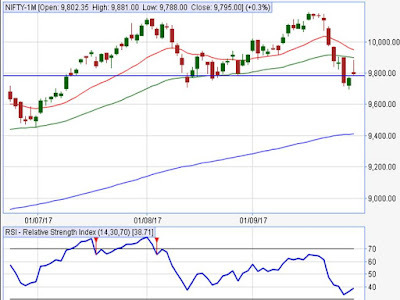 Traders can wait for Nifty to close out of 9848-9780 range for next breakout. 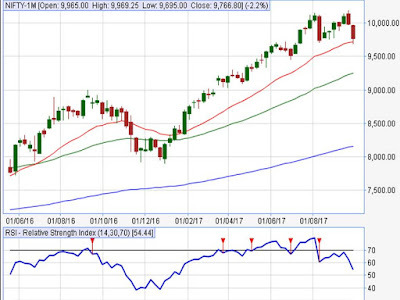 Closing above 9848 would force Nifty to resume its positive movement whereas closing below 9780 could force further downfall upto 9700-9650 in days to come. But until then traders can wait for confirmation of the direction as market has paused after a big downfall. “BUY 1 LOT HINDALCO 265 CALL @ 3.9"
"BUY 1 LOT HINDALCO 240 PUT @ 2.7"